"Dance when you're broken open. Dance, if you've torn the bandage off. Dance in the middle of the fighting. Dance in your blood. 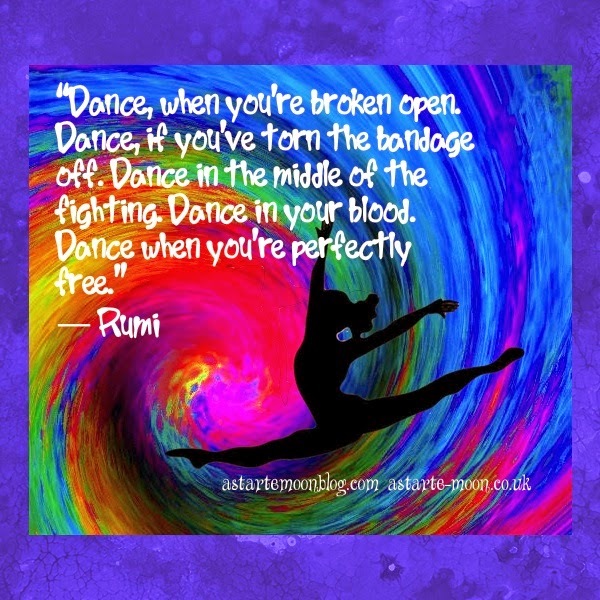 Dance when you're perfectly free" Rumi. Rumi teaches us the importance of being in touch with your inner soul. Sometimes when life is tough, something as simple as dancing can lift you from the depths of sadness. A simple act like dancing may make you start to feel better, at first you may only be pretending to feel better, putting on a show perhaps for those around you, but eventually you may start to feel better deep within you.